DJ ‘Ranking Joe’ Jackson, known for his work with Ray Symbolic sound system in Kingston in the ’70s and his many albums, knew Dennis Brown from the mid-’70s, when he played his work at dances. Later Dennis Brown produced Ranking Joe’s album “Round The World” for his DEB label. 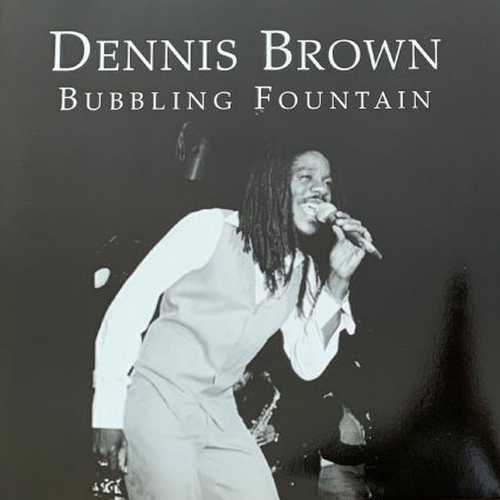 Ranking Joe kept in contact with D. Brown over the years, which eventually led to Ranking Joe putting out songs of Dennis Brown on his own imprint. One of them was the Crown Prince of Reggae’s anthemic “Bubbling Fountain (Love Jah)”, originally released on 12″ vinyl in 1980. The riddim was played by The Revolutionaries, while the mix was done at King Tubby’s. The flipside of this platter featured “Love Jah Dub” and “Ray Symbolic Love Jah Dub Special”, two raw dubplate mixes in full glory. Now the special collectors re-issue of this essential Shaka killer comes in a picture sleeve.